Get your home back faster. We know that you want your bathroom to look great and be be finished in a timely manner. That is why we do our best to complete your remodel in a week or less. After your order has been manufactured, most tub to shower conversions can be installed within 2-3 days. We strive to have full bathroom remodels completed within a week. If you would like to see how soon we can create your dream bathroom click the button below for a free estimate. With over 15 years of experience, you can rest assured that you will get quality installation and service after the sale. Our goal is to make sure everything we do not only meets your expectations but, exceeds ours as well. Our experience shows during the installation process and during the design and consultation process. We will help you develop your ideas into a physical plan in order to make your dream bathroom a reality. If you would like to speak with one of our experts, click below for a free estimate. No leaks means no mold. Grout in tile showers is porous by nature meaning they must be constantly sealed and maintained to prevent seeping and leaks. Even when this is done, it is only a matter of time before water will get through. Our system utilizes a solid surface material with a color matching silicone on all seams that completely keeps water from getting through. A standard sloped mud base has a rubber pan liner under all other materials meaning that water seeps through the grout, through the base and only stops at the liner. Just think, you always have water standing under your feet and, if the liner fails, it will leak. Our base is completely solid from the bottom up meaning the water proofing starts and stops at your feet! To schedule a demonstration of our system, click the button below and schedule your free estimate. The most exciting part of any consultation is when the customer gets to start picking out their colors and options. We have 4 wall panel styles which include gloss, matte, 12 X 12 tile, and subway tile. We can also use a separate color for an inlay or mosaic tile to create a wraparound band. We also have many base options. Whether you want a low-profile base for a walk-in shower, a higher base, or a height in between we can accommodate you. Whichever color you select can also be used to create a matching lavatory top that really completes the look! If you would like to see all of styling options, click the link below to schedule your free estimate.  We at Lifetime Shower Amarillo believe in standing behind our bathroom remodeling work and our product. That is why we guarantee everything we do for life. Yes, you heard that right. It is a simple, clear guarantee, and everyone associated with our business understands it. If our product or workmanship ever fails, we will fix the problem or provide you with a new item at no cost. “Yes, Guaranteed Forever” says it all. Quality products, our guarantee, quick delivery and ease of installation have made us legends in this industry. To see why we are the best in the industry, click the link below and schedule your free appointment. Our shower system makes it possible for you to add almost any accessory that you can think of. The soap niche the most popular add-on and we have many different styles and sizes. You can choose from corner caddies, large in-set options to hold your shampoo bottles as well, or smaller in-set options that simply hold your soap. We also have great seating solutions. Our floating bench system has lag bolts that secure into a 6 inch backing system allowing you sit with confidence. We also offer a full bench system for a more traditional look. We even offer a leg shaving step for those that truly want to pamper themselves. To see a full list of accessory items, click the link below to schedule your free consultation. This is one of our biggest requests. If you are tired of stepping over your tub to take a shower, it is time to convert to a walk-in. The bathroom is the most dangerous place in the home regarding slips and falls. Our ramped bases are the perfect solution. If you want to gut your bathroom and start all over, you have come to the right place. We can handle flooring, cabinets, tops, and everything else! During your free estimate, we will take all the measurements we need to ensure your new shower fits properly. We will send our measurements along with your color and accessory choices to our manufacture. It generally takes 3 weeks for your custom order to be created and shipped back to the Texas Panhandle. We will install the base, panels, accessories and fill all of the seams with a color matching silicone to create a watertight barrier that is guaranteed to last for life. Call us to schedule your free in home design consultation. Gerald remodeled our master bath, and we have been very pleased with the work. It included removing a jetted tub and building a huge walk-in shower where it was located, and converting the existing shower into a closet. They were very professional, and they used an awesome shower system that fully waterproofed that area. Thanks, Lifetime Shower! Ready for life. Those are the words we live by. When you step into your shower you are getting ready for whatever may lie ahead. It shows you care. So to, do we care. We care about our the quality of our workmanship and our product. We'll give you a shower that will last for life, so you will be ready for life.